Welcome to Practicing Writing! As of August 19, 2010, this blog has moved to www.erikadreifus.com. Please visit us there and bookmark the new site. Many thanks! About seven years ago, when I was completing a low-residency program in creative writing, Kim Wright was brought in to talk to the graduating students about freelancing. Her talk that day helped fuel and organize my own post-graduate freelancing efforts, for which I have remained very grateful. So when I saw that this veteran freelancer had become a debut novelist, I was intrigued. I asked Kim if she'd be willing to be interviewed. Happily, she agreed! Kim Wright lives in Charlotte, N.C. She has been a nonfiction writer for 25 years, and Love in Mid Air (Grand Central Publishing, 2010) is her first novel. She is an adjunct faculty member of the low-residency M.F.A. program in creative writing at Queens University of Charlotte, and her hobbies are travel, wine collecting, and ballroom dance. ERIKA DREIFUS (ED): Kim, although you are a "debut" novelist, you are a veteran freelancer. When did fiction-writing become a part of your writing practice, and how did you begin to pursue it? KIM WRIGHT (KW): Yes, I worked 25 years as a freelance nonfiction writer, but I always played around a little with fiction on the side. "Played around" may be the wrong term since I desperately wanted to write a novel. It's just that fiction is so tough to publish - relative to nonfiction, at least - that it always seemed like a bit of a pipedream. I started Love in Mid Air about eight years ago and worked on it hard for two years. Then I put it down for two years and that break turned out to be really important in the life of the novel. Because when I picked it back up I was able to read it more objectively, almost as if someone else had written it. I slashed whole scenes, did a major revamp of the structure, cut out characters...all things that would have been hard to do earlier. And through this whole process I continued to work on the craft elements of fiction by going to conferences, studying with people like [Queens MFA director] Fred Leebron, and creating my circle of "writing buddies" who are now my first readers and most trusted counsel. There are really three women scattered across the country who are my lifeblood in this process and I can't imagine having gone through this without them. A month I spent at MacDowell Colony was also pivotal, both to building my confidence and connecting me to some fellow writers whom I respect. My single biggest piece of advice for aspiring writers - especially novelists who work on things for so long at a time - is to assemble a support group. Open the door and walk out. You have to know people and I don't just mean people who can introduce you to their agents, although God knows that helps. I mean people who can help you survive the actual writing. 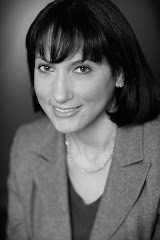 ED: Love in Mid-Air features a late thirtysomething protagonist, Elyse Bearden, who lives in Charlotte. As the novel opens, Elyse is on a flight and becomes acquainted with a fellow passenger (Gerry). The rest of the novel follows from this encounter. I'm curious about the sequence in which you wrote the book. Did you actually begin writing with the airplane and airport scenes? How challenging was it to integrate the several significant flashbacks (I'm thinking especially of scenes involving Elyse and her longtime best friend, Kelly) with the forward-moving narrative? KW: In the beginning, the book covered a three- year time span. It started with Elyse separating from her husband and moving out with her child. She met the lover Gerry about mid-point in the book. I realized I needed more tension...plot and structure have always been the toughest elements of craft for me and, I suspect, other writers who come out of a literary background. So I tightened the time frame to nine months and had Elyse meet her lover before she leaves her husband. This created two new problems. Some people might consider a woman who has an affair while married inherently unlikeable. Oh well, I can't help that. But the other problem was just as you say, that the tight time frame and faster pace made inserting the flashbacks trickier. I worked some of the flashback info into real-time conversations between Elyse and Kelly and tried to insert the other flashbacks into points where people tend to ruminate in real life, i.e., when Elyse is taking her walks, in the shower, or driving a car. Isn't that when we all start to think about the past? ED: At some point in my reading, I began to discern connections between Love in Mid Air and Madame Bovary. Both books present us with a female protagonist, unhappy in her marriage, who is a mother to one child (a daughter). Both protagonists are married to health professionals (Charles Bovary is a quasi-medical doctor, and Elyse Bearden's husband is a dentist). Both Dr. Bovary and Dr. Bearden are loving fathers and basically decent men, if perhaps unfortunate matches for their wives. And, for their respective eras, both books include some pretty steamy material. Then, late in your novel, Madame Bovary actually becomes part of a discussion among Elyse and her friends. With all of that said: Did you deliberately give Elyse Bearden the same initials as Emma Bovary? To what extent were you conscious of previous literature dealing with infidelity and/or divorce and how did those works inspire (or limit) you in the writing process? KW: I don't think anyone else has noticed the EB connection between Elyse Bearden and Emma Bovary so go to the head of the class!!! (Editor's Note: My undergraduate and graduate teachers in French history and literature will be pleased to hear this!) Yes, I was very conscious of Madame Bovary while writing the book and a lot of the connections you've commented on were deliberate. When the women read Madame Bovary for their book club I have Elyse say that she thinks Emma would have gotten away with it if she'd only had a cell phone. I've always liked that line because it's the sort of thought that triggered my desire to pay homage to Flaubert's book in the first place. Would a modern-day Emma Bovary not only survive, but thrive? ED: Where were you when you found out about the starred review Love in Mid Air received from Publishers Weekly? (A starred review that begins, I may add, with the words "Wright hits it out of the park in her debut....") What was it like to receive that review? What happened after that in terms of plans to promote and publicize the novel? KW: I sold the book in December of 2007 and Grand Central said they'd bring it out in March 2010. It seemed like I was going to have to wait forever. Then 2008 and 2009 were pretty bad years for me, not just because of the long countdown to publication but because of all sorts of things that happened in my personal life. I was in a major funk. So on Monday, January 4, the first working day of the new year, I get up, get my coffee and stumble into my computer and there it is waiting in my in-box, a starred review from Publishers Weekly. I literally screamed. And to make it even better, I had said to a friend at a Christmas party, "All I really want is for somebody somewhere to tell me that I knocked it out of the park, but no one ever says that in publishing. Publishing is about always feeling that you're getting closer but you're never there. They just never pay you those kinds of full out, no holds barred compliments." And then there it was in the review, a first line saying the very words "hits it out of the park." It changed my life. Everyone started paying more attention. And I have the feeling 2010 is going to be a bloody great year for me. ED: Is there anything else you'd like us to know, Kim? KW: That I am the most accessible person in the world. I'd love to speak to book clubs, either virtually or in person, I'm always available for interviews online or in any other format, and I love to speak to groups. (Editor's note: Anyone who would like to arrange an interview, signing, book club meeting, etc., should contact Kim's publicist, Elly.Weisenberg[at]hbgusa[dot]com.) And also that I'm working on both a second and a third book. One is a sequel to Love in Mid Air, told from the point of view of Kelly and advancing the story ten years when the women are almost fifty. The other is about the world of ballroom dance. Kind of Love in Mid Air Meets Dancing With the Stars. ED: Sounds great! Congratulations and thank you, Kim! To learn more about Kim Wright and her novel, please visit the Love in Mid Air Web site and/or join the novel's Facebook fan page. Thanks for hosting me, Erika! This is very exciting! Erika Dreifus lives and writes in New York City. Her story collection, Quiet Americans, will be published in January 2011 by Last Light Studio Books. Erika is a contributing editor for The Writer magazine and an advisory board member for J Journal: New Writing on Justice, and she wrote the section on "Choosing a Low-Residency MFA Program in Creative Writing" for the second edition of Tom Kealey's Creative Writing MFA Handbook (Continuum, 2008). Erika's writing practice encompasses fiction, poetry, and nonfiction. For more about Erika's writing, please visit her website. Erika is also the editor/publisher of The Practicing Writer, a free (and popular) e-newsletter featuring advice, opportunities, and resources on the craft and business of writing for fictionists, poets, and writers of creative nonfiction.